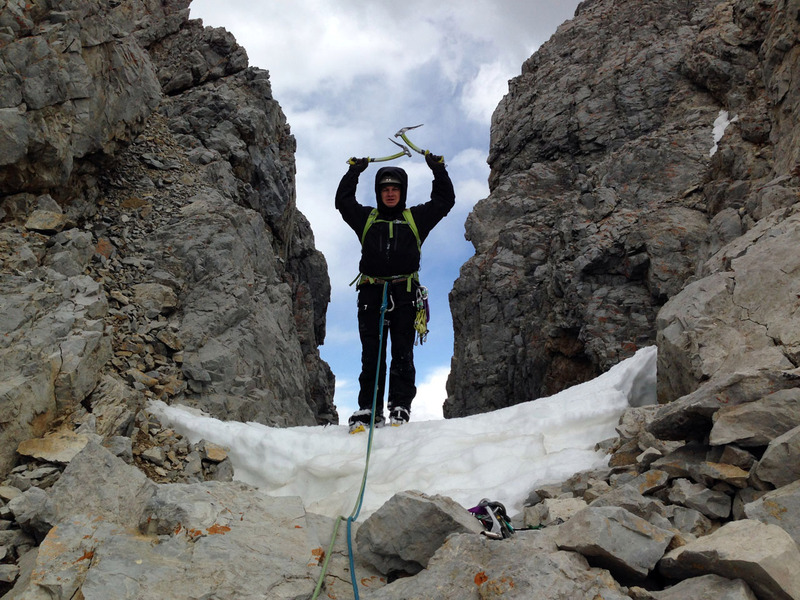 Of all the routes that have been established in Mt Borah’s North Face cirque, one has stood out as the test piece of alpine climbing in the range: Psycho Therapy. 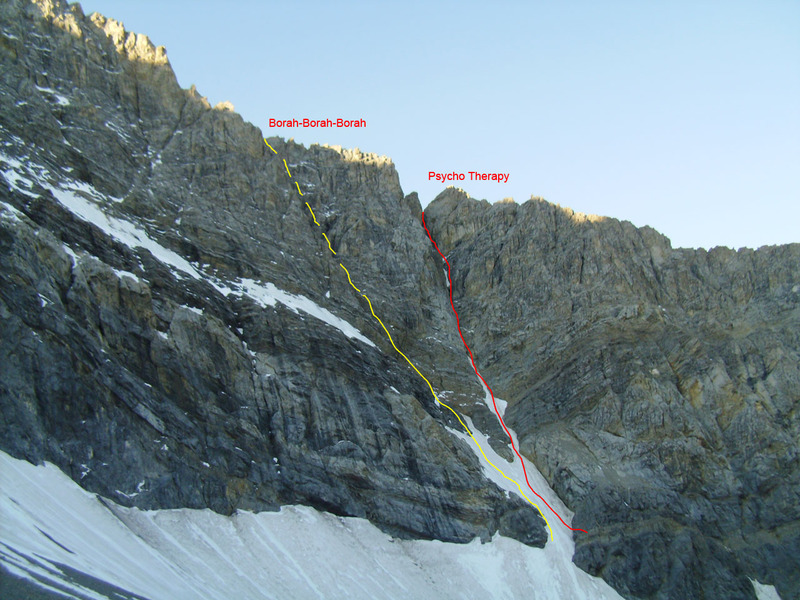 This route was first put up by Dean Lords and Brian Wood in September 2003 (American Alpine Journal – Idaho 2004) and over the years resisted all attempts at a second ascent by some of Idaho’s strongest alpine climbers until 2014 when Kevin Hansen and Cory Harelson climbed it. 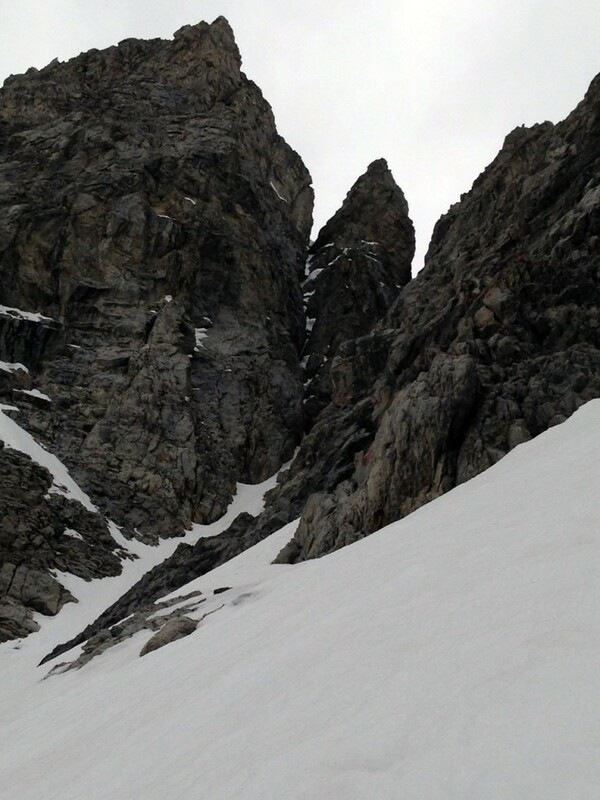 The route ascends the ominous near-vertical couloir and black shaft on the extreme right side of the North Face proper. 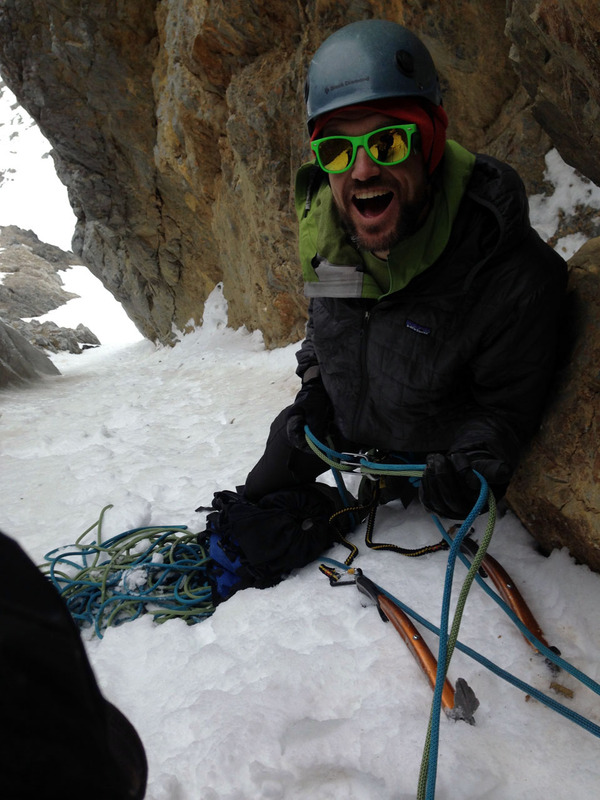 Psycho Therapy is a modern mixed alpine climb that involves sustained technical climbing on both rock and ice. 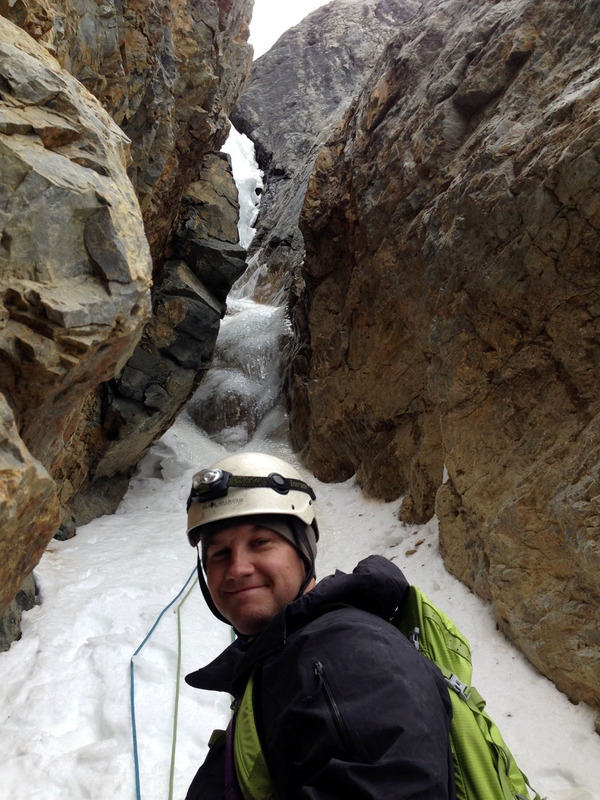 The difficulty will depend greatly on the amount of ice present during the ascent. 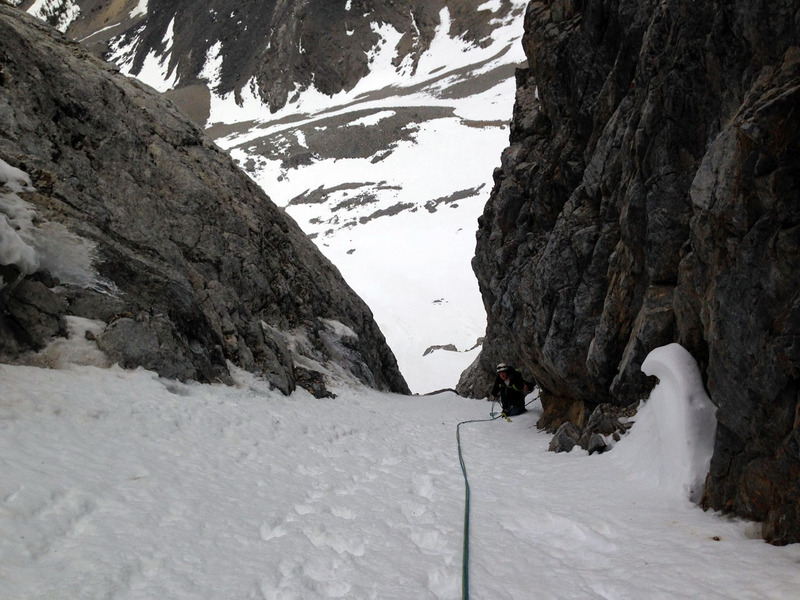 Both the first and second ascent teams described this route as being “run-out” and to quote Kevin, “Hands down, the scariest lead of my life.” As with most alpine climbs in the range, conditions play a big role in whether or not a route is in shape and rarely are they the same from season-to-season. This route would be preferable during late autumn or early to mid spring when the rock is frozen in place and a substantial amount of ephemeral ice can be found on the vertical sections of the shaft. 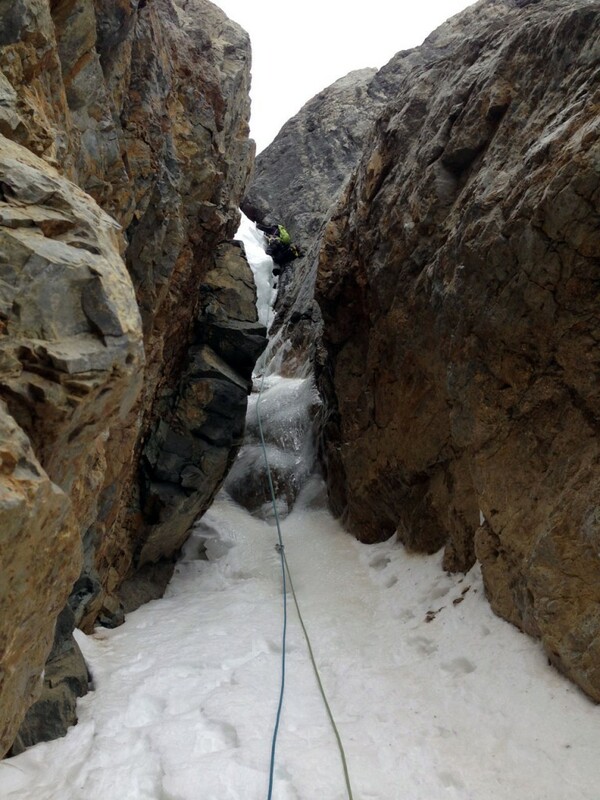 With more ice than what was found on the first ascent, this route could offer enjoyable climbing at a moderate difficulty. To date, all of the established alpine routes in this range have been done bottom-up, on-sight and without the use of bolts for protection. 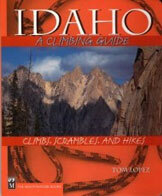 Dean Lords, Kevin Hansen and Bob Boyles provided this section’s information from his climb. On September 18, 2003, following the first major snow of the year, Brian Wood and I established Psycho Therapy (1,200 feet, 5.9+ M6 AI4) on the north face of Borah Peak. The route starts with two pitches of alpine ice mixed with icy rock steps, before reaching a small snow patch below the crux shaft (a.k.a. Shock Treatment). Belay as high as possible to the entrance of the shaft making sure your location is safe from falling debris. 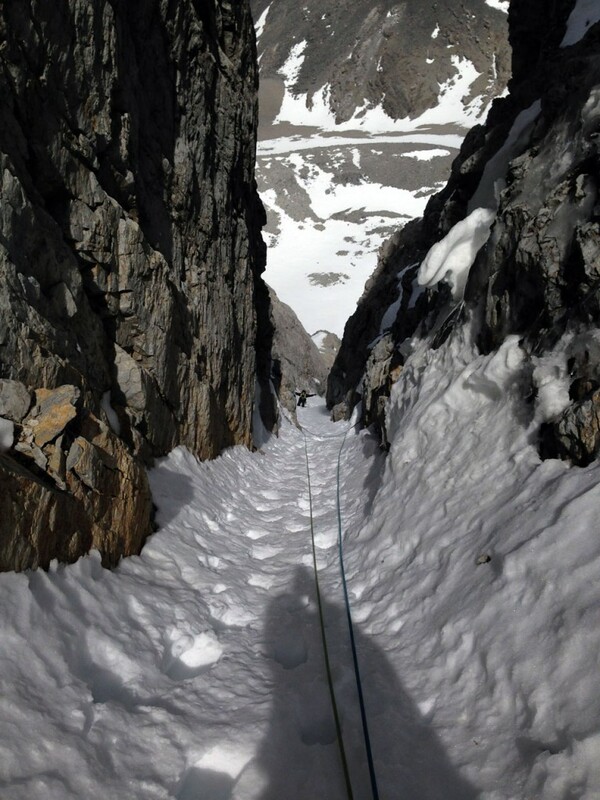 The shaft is a sustained three-pitch climb, ranging in width from 3 to 6 feet, and contains near vertical and vertical climbing on icy runnels and grooves, steep snow covered rock, chockstones, and sections of residual ice. Try to arrange the next belay below the obvious chockstone half way up the shaft (70 meters). This chockstone can be passed on the right wall by climbing a short section of steep 5.5 rock, or one could squeeze through the slot underneath the chockstone. 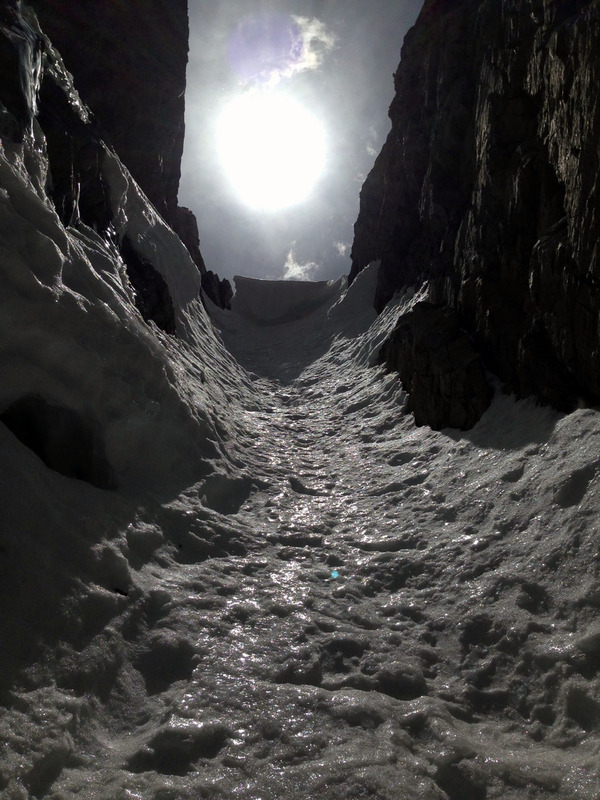 Once past this first chockstone, continue up the shaft, passing underneath a second chockstone on steep ice and/or difficult rock to reach the upper confines of the couloir. After the second chockstone, the angle eases and one-and-a-half pitches of ice and rock in a wild setting finish in a steep notch on the northwest ridge. Brian and I spent 22 hours round trip from the mouth of Rock Creek. With more ice in the shaft, this route could be less difficult. Descent: Scramble and down climb the Northwest Face of Spur 11,557 as a means to return to the mouth of Rock Creek. Also see Cory Harelson’s excellent full trip report of Psycho Therapy. Kevin on belay above the crux pitch on Psycho Therapy. June 1, 2014.